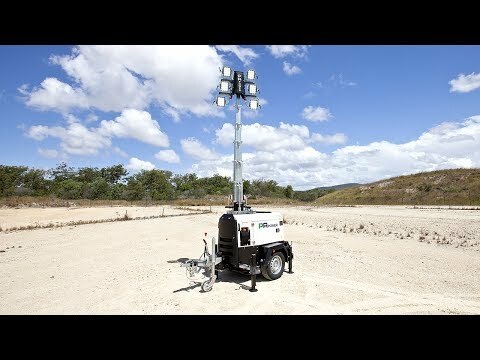 The PR-ECO LED M Mobile Lighting Tower is the next generation in LED Lighting Tower technology. The units utilise highly efficient LED lamps mounted atop a 8.5m vertical, manually operated mast with a 48vDC extra low voltage lighting system for added environmental sustainability. Highly efficient LED lamps illuminating approximately 3,800sqm. The PR-ECO LED M lighting tower is easy to operate and transport and comes complete with a road ready compact trailer, central operating point, 350 degree manual mast rotation and 9m vertical manual mast extension. 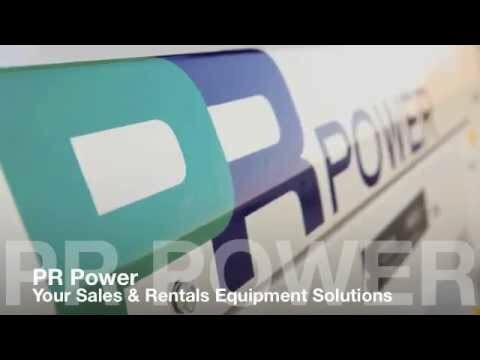 The PR-ECO LED M lighting tower is available for sale & rental and supported by the PR Power branch network Australia wide with technical, parts and service support.